Today I would like to show you 5 different techniques to make some nice and easy bracelets. I wanted new bracelets and a lot of them so I made these very quickly. 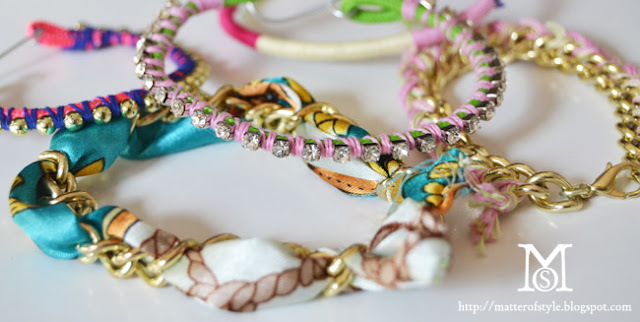 The best thing about these bracelets is that if you're crafty you'll make them for free because they can be made with what you have in your stash:left-over pieces from other DIY projects, little pieces of ropes, some yarn and so on. These bracelets are quick to make and you can have fun making them in every color! 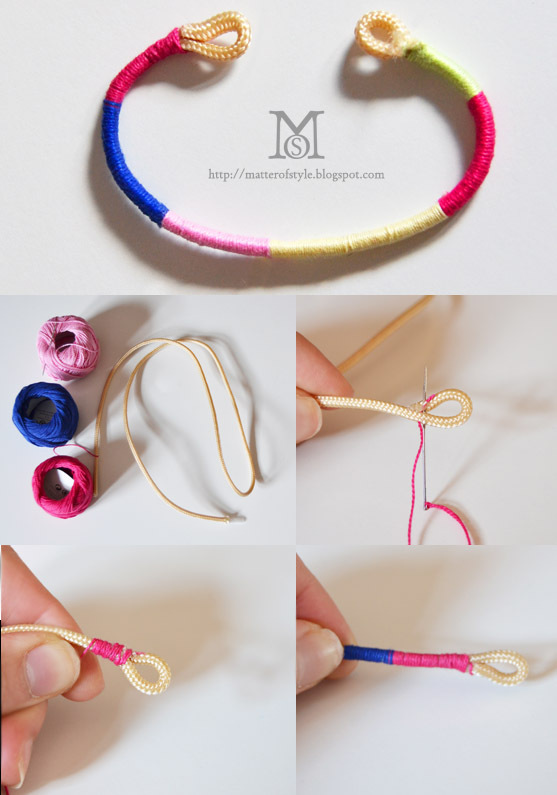 Yarn bracelet : I made a tiny loop with the rope, blocked with thread and needle and then I just wrapped the colored yarn around. Crystal bracelet : I made a loop with the rope and blocked it with thread and needle then I put the crystal chain over the rope and I wrapped the yarn around both. The crystal chain will be blocked in place. 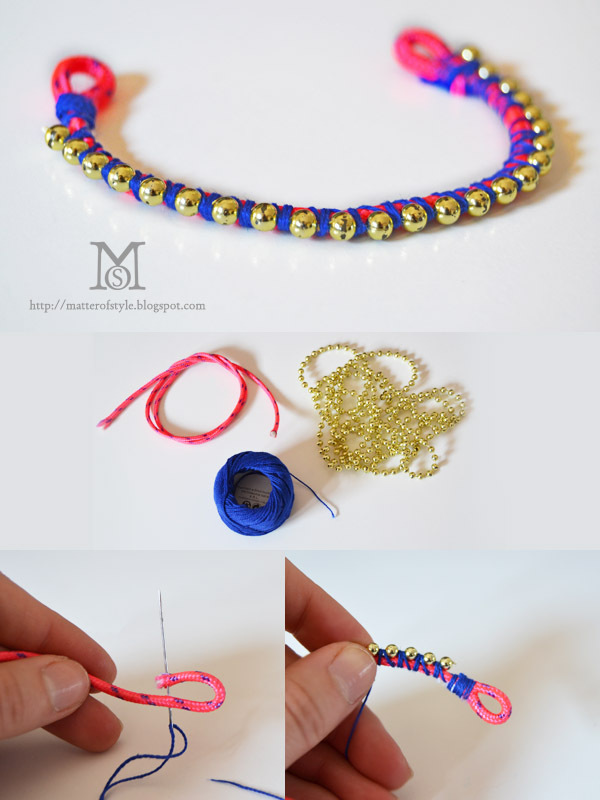 Ball chain bracelet: I made a loop with the rope and blocked it with thread and needle then I put the ball chain over the rope and I wrapped the yarn around both. The ball chain will be blocked in place. 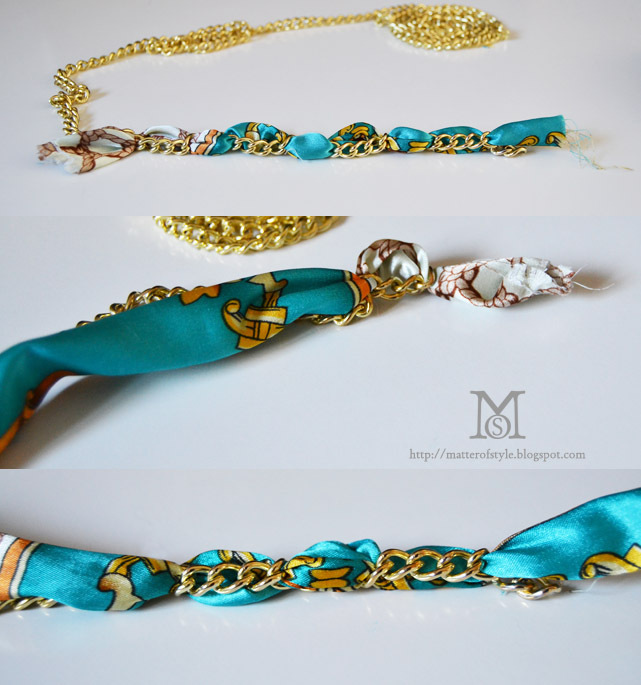 Scarf and chain bracelet: I used a piece of scarf left from the D&G scarf dress, I cut a band of it and then I inserted alternatively in and out of the rope . I cut the band larger than the rope to get the scarf effect. 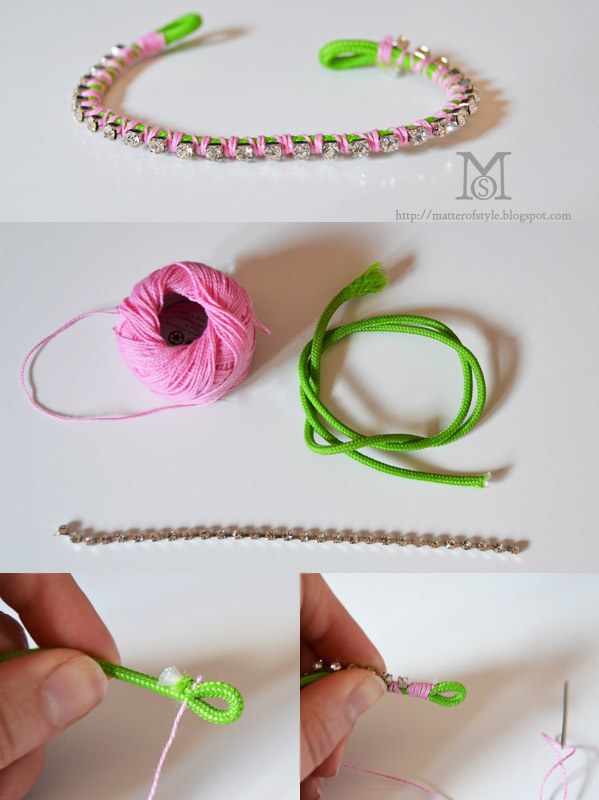 Braided bracelet : I cut several pieces of colored yarn; I knotted them together - I divided them in three parts then I braided it. I connected the braid to the rope always inserting the part on the left into the rope with the help of a crochet. When you've done add a clasp to every bracelet and you're ready to go! Non finisci mai di stupire!! BRAVA. Non vedo l'ora del tuo prossimo tutorial. Such great ideas! I will definitely try it!! i love this trend! great post! i'll try it! I was wondering how to make these, thanks! I'm will definitely make them over the weekend. :) Looks so easy. you are simply amazing :) AMAZING! imma link you on my next post :) you deserve to be all over the world!!! This is just amazing, exactly what I need! Me encantan las ideas, seguro que alguna de ellas nos hacemos para este verano. I LOVE this idea SOO cute! 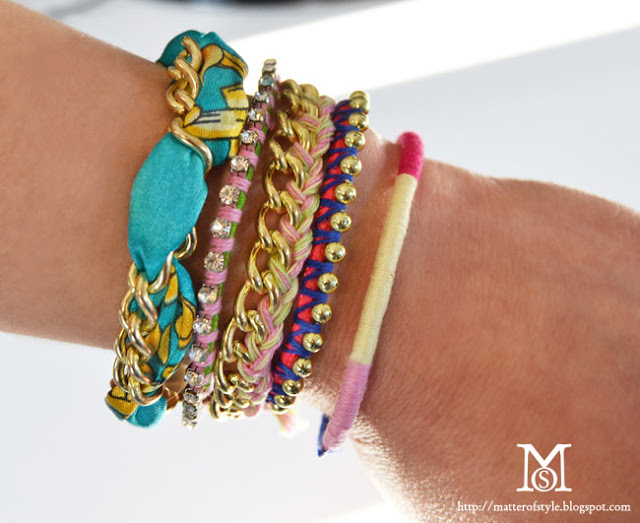 Its a highfashion version of camp/friendship bracelets, i love it. 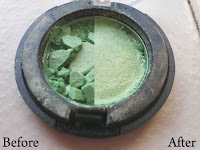 What a great blog, just found it and I love it. I also love those bracelets you made. 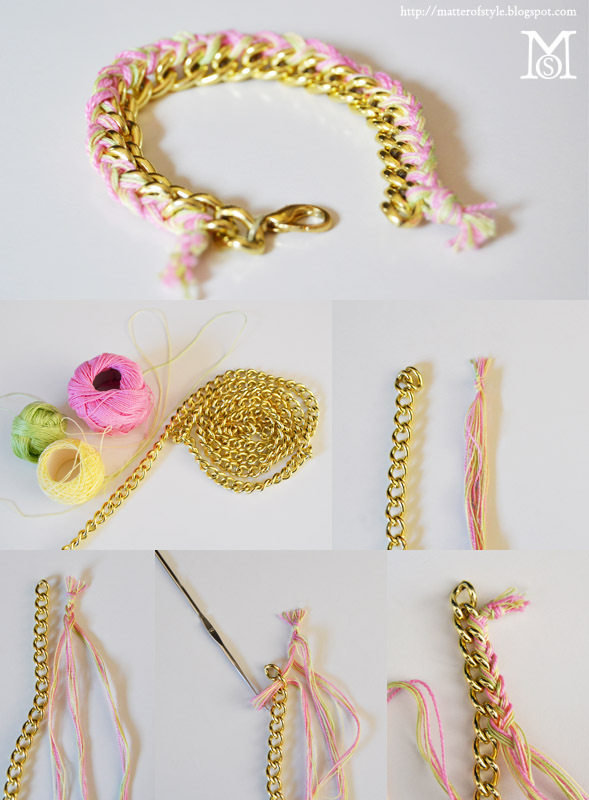 the yarn bracelet, the ball & chain bracelet and the crystal bracelet, all show loops on each end. How do I connect the ends together to wear the braceler? Or what do I attach to connect the ends for wearing? the easiest solution is to add a clasp at the ends or if you're keen on wire jewelry you can use metallic wire to make a simple hook shape that will work as a clasp!